I found out some excellent news this week. 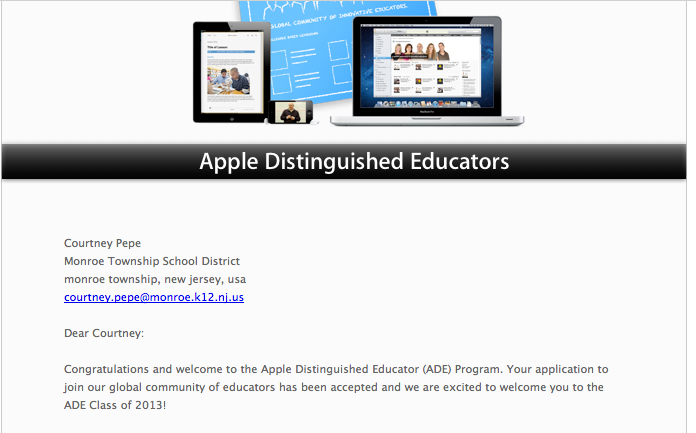 After a wonderfully exhausting day teaching a PD workshop to the teachers in the special education department, I came home to find some some exciting news on the computer. I feel blessed and grateful to become part of an exciting worldwide network of professional educators. I can’t wait to meet everybody in Texas.